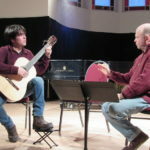 The weekend of February 11-14 saw students from nine Ontario and Quebec schools gathered in Ottawa for a weekend of concerts featuring the incomparable Czech guitarist Pavel Steidl, the Sudbury Guitar Trio, and returning graduate Adam Cicchillitti, as well as student performances, lectures, master classes and guitar orchestras. 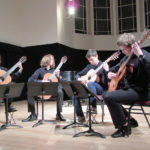 The 11th annual Guitare Alla Grande Festival began Thursday February 11 with the New Horizons concert; student performances of music published by Les Publications D’Oz, a festival sponsor. 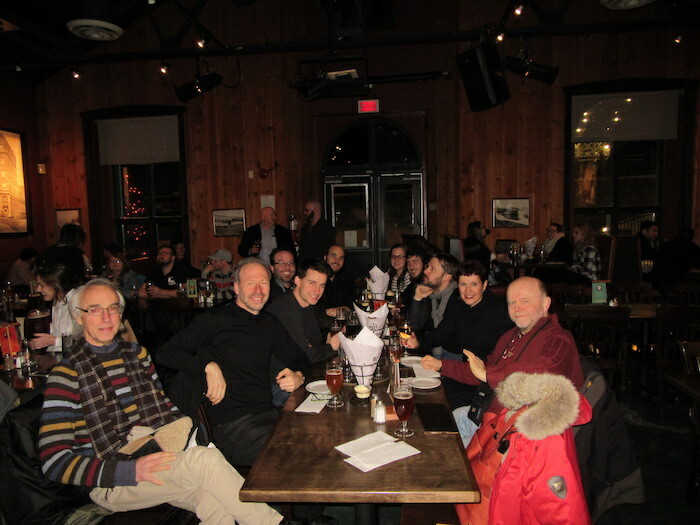 Participating students were from the guitar programmes at Conservatoire de Musique de Gatineau, Carleton University, Conservatoire de Musique de Val D’Or, University of Ottawa, and Cambrian College, and they performed music by Jeremy Sparks, Thierry Tisserand, Patrick Roux, Sergio Assad, Luc Levesque, Steven Goss, and Craig Visser, who performed his own piece. 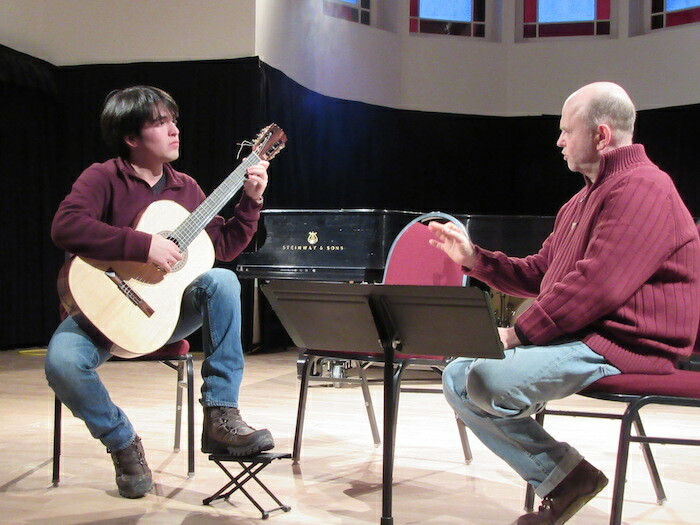 Students also participated in guitar orchestras under the direction of Denis Poliquin and David Gaudreau. 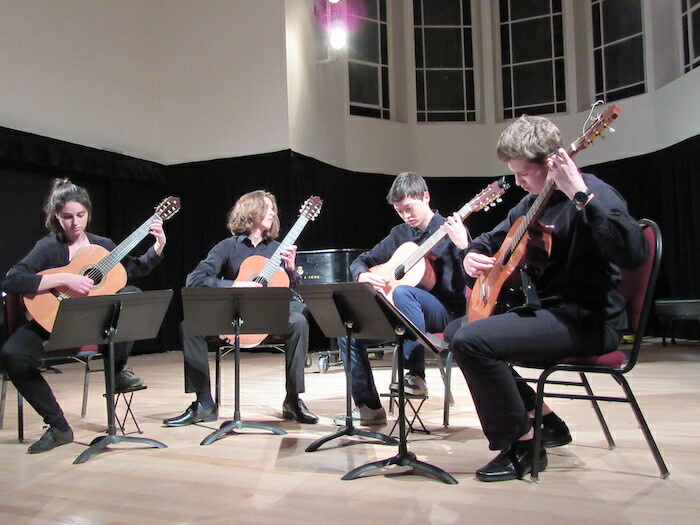 Master classes were held by Pavel Steidl and the Sudbury Guitar Trio which is comprised of Matthew Gould, Al Yzereef, and Keenan Comartin. 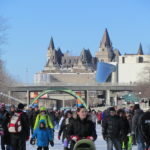 This winter in Canada was rather milder than usual, and the Rideau Canal, which is the world’s largest skating rink, was unable to open until late January, then had to close again shortly thereafter because of unseasonably warm temperatures. 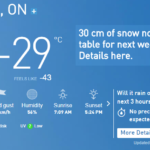 However the weekend of this festival the weather reminded us that this was February in Canada, with one of the coldest days in history: Saturday morning it was -29C with a wind chill of -43 (-20F with wind chill of -45F). 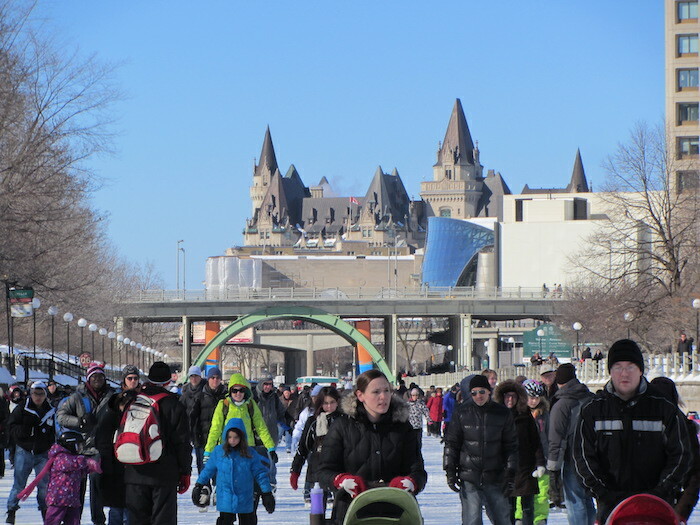 My annual skate on the canal didn’t seem so appealing this year! 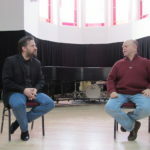 Friday afternoon, Pavel Steidl was interviewed prior to his master class, and talked about his childhood, his family always singing, and his father’s desire that he become a plumber. 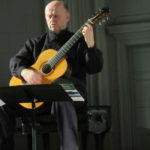 He did study to become a plumber for a year after he was not accepted to study at the Conservatory; and then there was a twist in his life after he won the Radio France International Competition in 1982, including his flight from communist Czechoslovakia to live in Holland for several years. A plumber! Luckily for us, his toilet installation wasn’t as good as his Paganini…! The entire interview will be posted on YouTube in the near future. 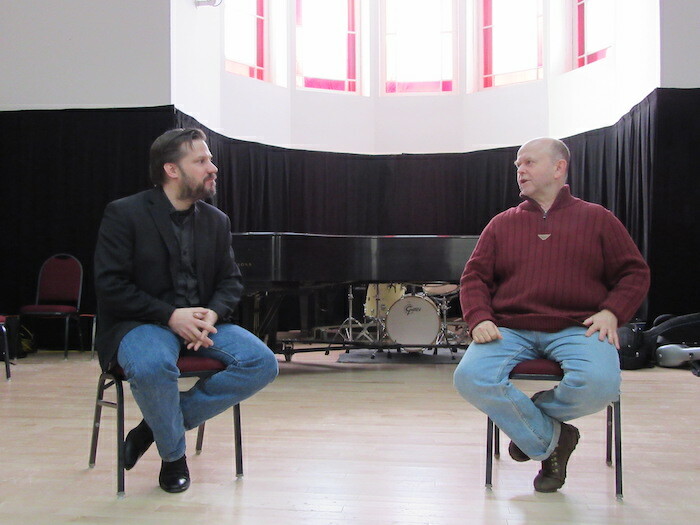 Pavel’s master class included performances by a duo as well as solos, and covered Sor, Paganini and Coste to contemporary music. 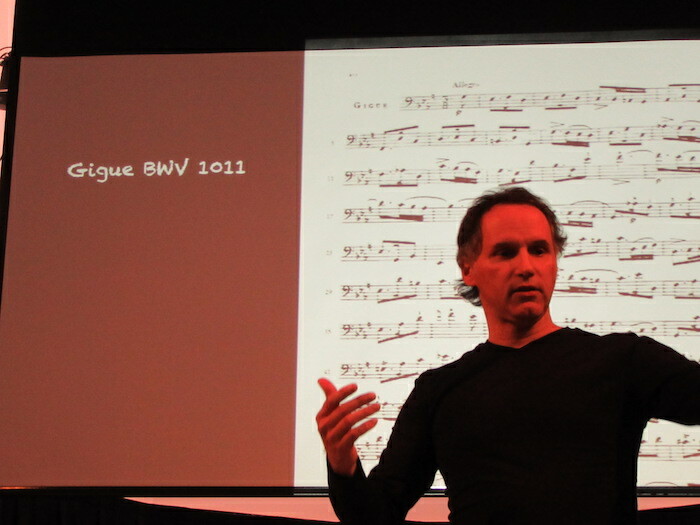 Steidl talked a lot of finding different colours by using different parts of the nail, using the flesh of the thumb, and using words or syllables to sing along with the music, as well as practicing very slowly to ensure attention is paid to every note. He stressed playing with relaxed movements, and moving from every part of the arm rather than staying in a rigid position. As well, he introduced students to a unique metronome available on line that uses words rather than clicks to keep time. And importantly, he talked of finding a way to possess the music, to make it your own. 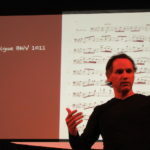 A very interesting lecture/performance by Michel Beauchamp presented the history and publications of Bach, Sor and Tarrega. 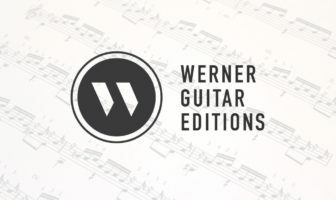 These composers formed an integral part of the guitar literature and repertoire, and Beauchamp talked at length about the influences of all three. He distinguished between composition and transcription, pointing out that the Opera per Chittara by Tarrega is not actually Tarrega’s music, but a really good transcription of Verdi’s music. He also talked about the various editions of Sor’s music, many with mistakes included, particularly those by Coste and Segovia. 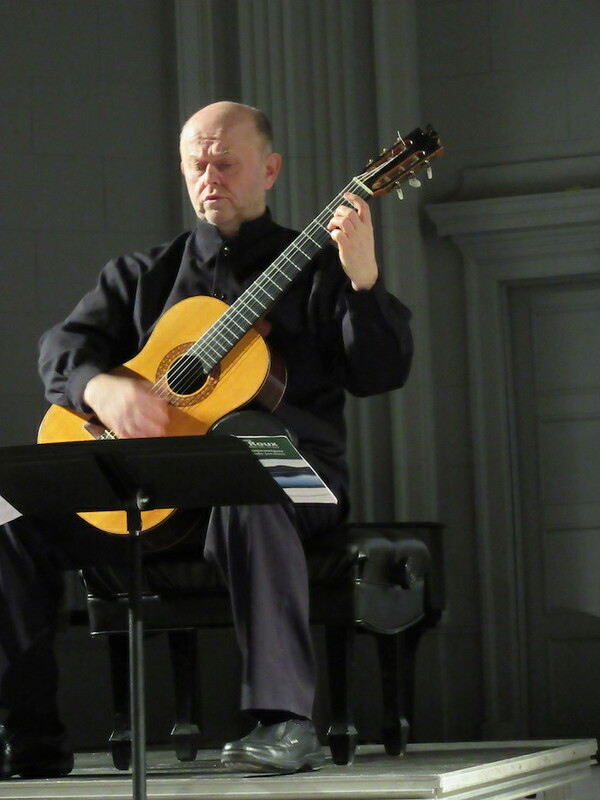 The Sudbury Guitar Trio performed Friday night’s concert, and featured contemporary music from the late 20th and early 21st centuries by Canadian composers John Weinzweig and Claude Gagnon, as well as American, Dutch and German composers. 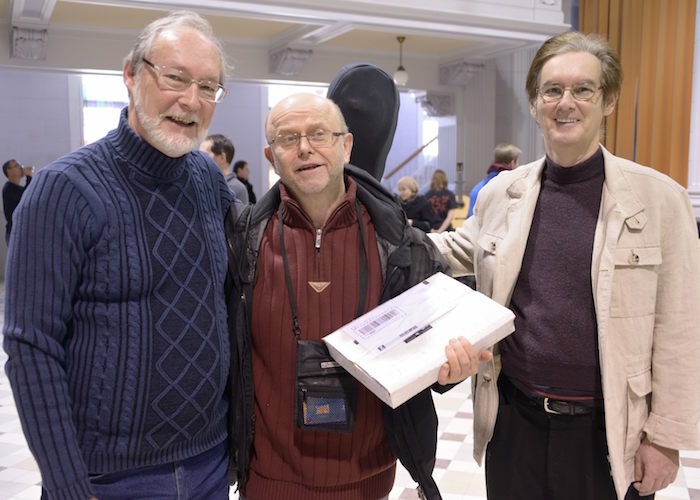 Four of the compositions were commissioned by the Trio. This challenging repertoire was played with wit and verve, and the enjoyment was obvious on the part of both players and the audience. 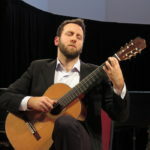 The traditional ‘Welcome Back’ concert on Saturday afternoon showcases a guitarist who has graduated from one of the participating institutions, and this year was performed by Adam Cicchillitti, a graduate of University of Ottawa. Adam performed La Catedral by Augustin Barrios, Sonatina by Torroba, Whirler of the Dance by Carlos Rivera, and two pieces by Patrick Roux, Matin de Brume and La Valle de la Luna. 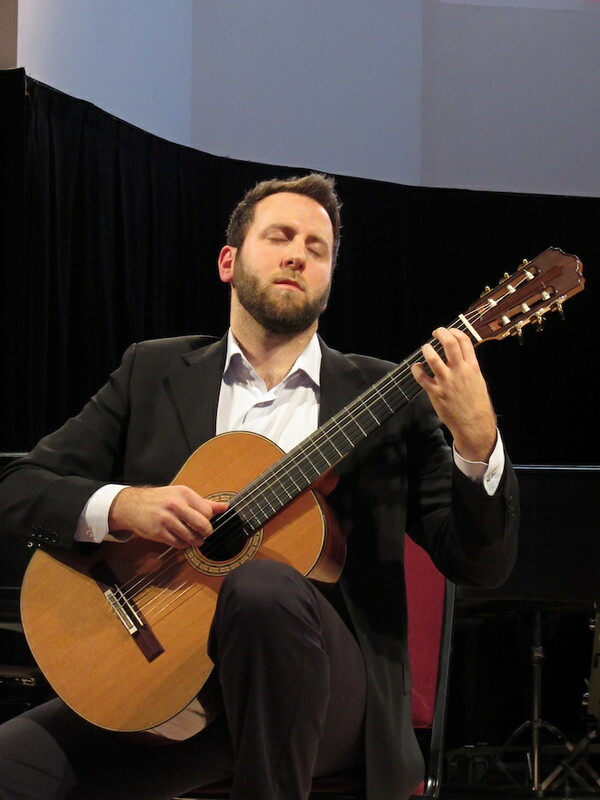 This talented young guitarist will be touring in 2016 with Jeunesses Musicales du Canada throughout Eastern Quebec and the Maritimes. 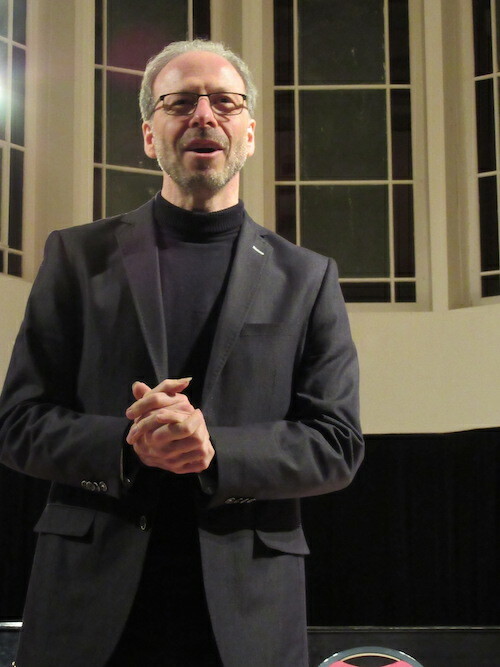 Saturday evening Pavel Steidl performed the Great Masters concert with a large number of excited, enthralled students among the audience. 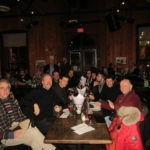 Ottawa Guitar Society president Zak Pleet, by way of introducing the evening, asked the audience how many people were seeing Pavel in concert for the first time. Although many, especially the students, were seeing him for the first time, it was amazing to note that there were many who had heard him four, five or even more times. Pavel performed this concert with a bit of a handicap, his guitar soundboard having cracked suddenly just minutes before the concert began, an unfortunate consequence of the very cold temperatures mentioned earlier. 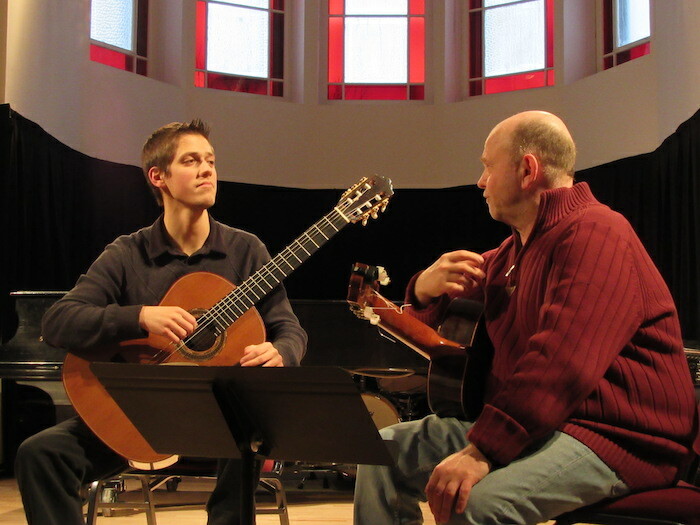 Despite the fact that there were many guitars available to borrow, he decided to continue with the damaged instrument, and one student was overheard to say at intermission, he was ‘pretty sure the guitar could fall apart in his hands and he would still make it sound incredible!’ Pavel covered Bach (Chaconne and Jesu Joy of Man’s Desiring), Patrick Roux (Les Grands Jardins), and his own compositions, as well as a set where he asked us to imagine the duelling guitars of Legnani and Paganini, alternating between compositions of the two legends who might very well have spent evenings playing guitar together. 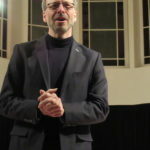 It was an absolutely wonderful concert, brilliantly performed, but also Pavel really connects with the audience through stories, gestures, and phenomenal musicality. It was truly deserving of its place as the Great Masters concert. 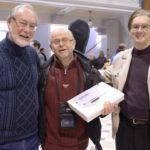 The festival’s final day featured a luthier fair in the afternoon, an opportunity to try out handmade guitars from a number of luthiers from the Ottawa area, including Bruno Boutin,Patrick Mailloux, Joshia de Jonge, Jeremy Clark, among others. And then the closing concert, where all of the participating students displayed their talents in solo, duo, ensembles of varying sizes, and orchestra groupings. These students, both high school and post-secondary, are lucky to have the opportunity to participate in such a wonderful festival, essentially provided for them by their school. But also we are incredibly lucky, and inspired to be part of this wonderful learning experience. Over the years of the festival, I have been privileged to witness the development of many young players from early teens, and some even younger, into mature and extremely talented young performers. It is so important for them to have access to this type of collaborative event, where they learn, perform, and socialize with so many other young people with similar interests. Next year’s festival is already in the planning, and will take place February 9-12, 2017. Featured artists will be the Assad Duo. 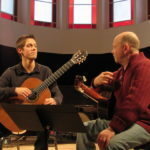 Although Odair Assad was the featured artist several years ago, this will be the first time the Duo has performed at Alla Grande, and in fact in the city of Ottawa, something that is long overdue. 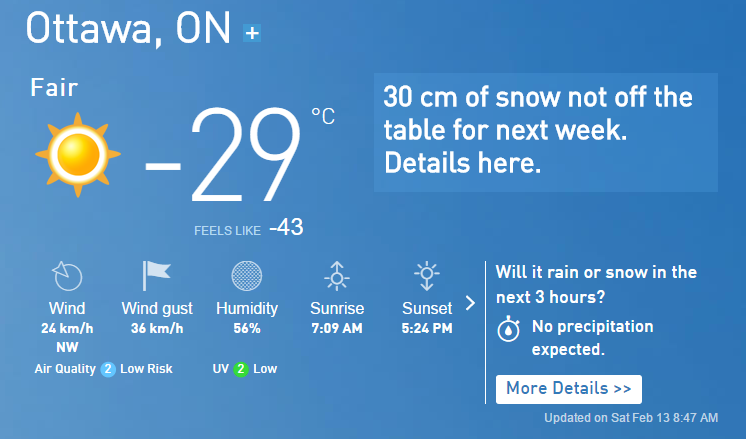 We look forward with anticipation!